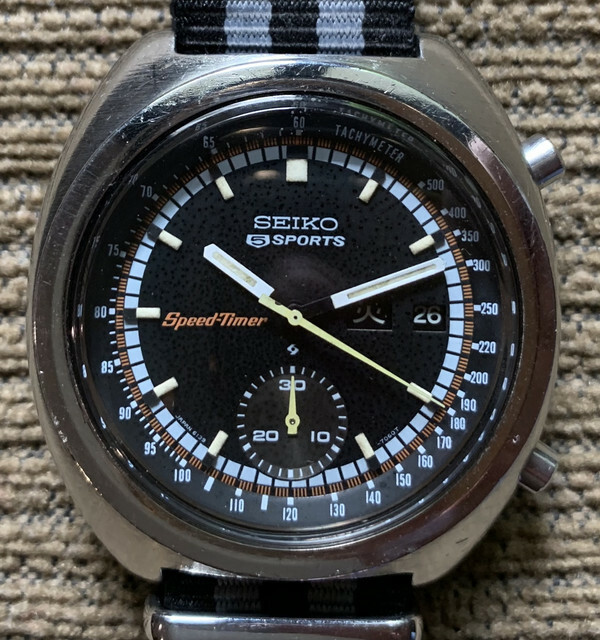 Seiko 6139-7012 chronograph JDM speedtimer, head only. 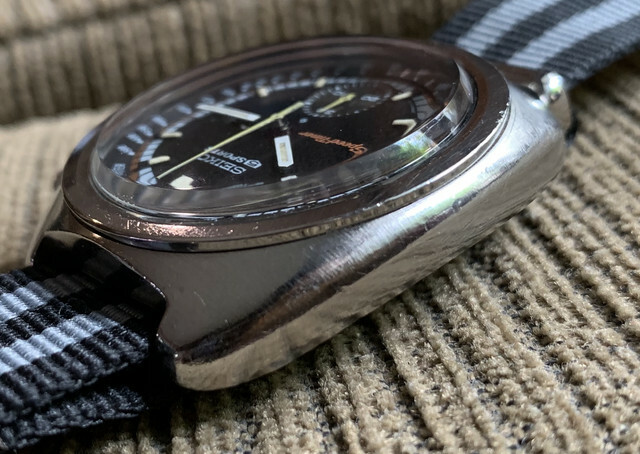 All original, all functions work, chronograph resets to zero. 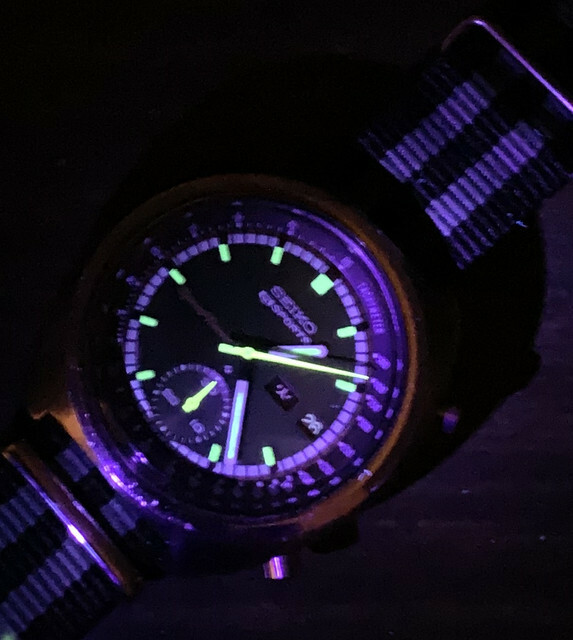 Watch running normally, accurate with healthy power reserve. Lumes have become creamy in color. All lumes glow under UV light. There is a tiny slight paint chipped on the sweep second hand. 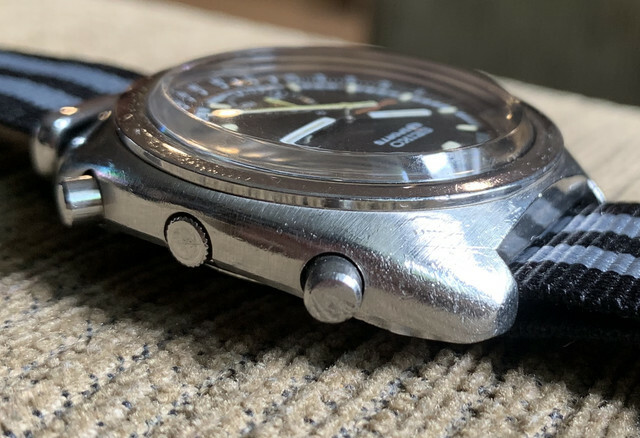 Dial is clean but it has developed uniform spottings throughout. Case is unpolished with hairlines scratches and tiny dings due to normal usages. 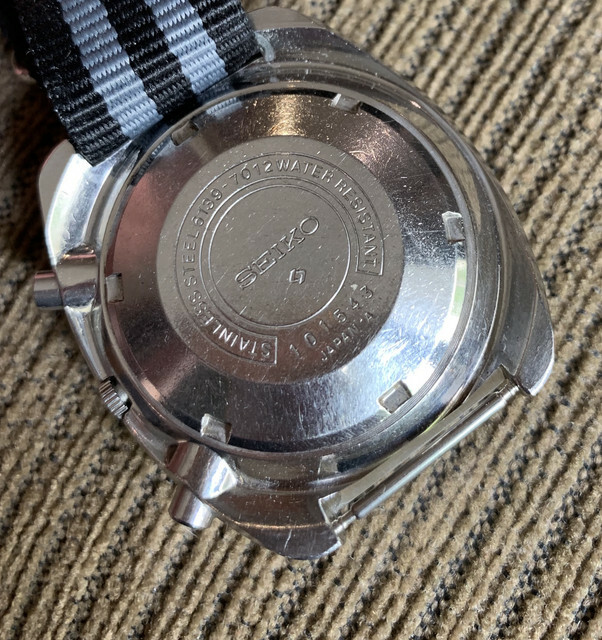 The watch was manufactured in October 1971. Offered at USD 400 delivered around the world by standard EMS including paypal fee. Email me if interested.